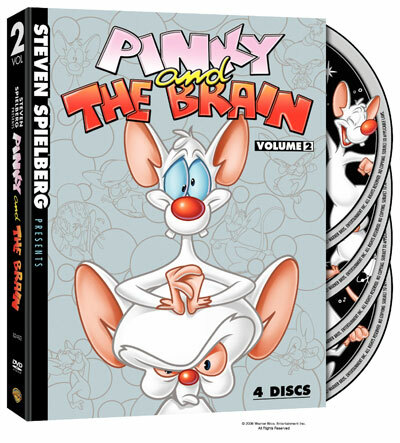 In Pinky and The Brain Volume 2, produced by Steven Spielberg, two lab mice (one a genius, the other insane) living in the Acme labs seek to formulate a plan for the duo, led by Brain, to take over the world. 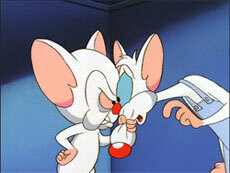 In each episode, Pinky and the Brain take on each attempt with a dry wit and humor and likely a parody of other media. �The Audition� [Mark Hamill of Star Wars fame, and Wayne Knight of Seinfield come to a casting call. 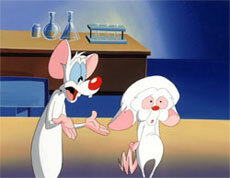 While auditioning they get a surprise voicecoaching lesson from the original Pinky & The Brain voices, Maurice LaMarche (The Brain) and Rob Paulsen (Pinky)]Runtime approx 20 min.